Jan. 10, 2013, 10:10 a.m.
It’s a rare moment: Legacy media leading the way on digital strategy, and watching the web-only guys follow behind. By Ken Doctor @kdoctor Jan. 10, 2013, 10:10 a.m. Folly. Gigantic mistake. Rearview-mirror strategy. Paywalls have taken their share of abuse since The New York Times reopened the digital circulation debate three years ago. But in those three years, my, how things have changed. Charging for digital access has gone from experimental to mainstream. In fact, you’ll be hard-pressed to find many daily newspapers in the U.S., Canada, Scandinavia, or Germany that won’t be charging something for digital access by the time 2015 rolls around. But as 2013 begins, we see a new twist: Now it’s digital-only news and magazine sites and journalists who are about to launch their own digital circulation strategies. Yes, it’s one of few times that old, tired legacy media — newspaper companies — are the leaders and digital-only media the followers. There’s an irony to be appreciated in that, if only briefly. It’s also another reminder that anything you think you know about our digitally disrupted media future may be wrong; early in this revolution, we’re all reminded to be humble. How much do top-echelon journalists need media brands? How much do brands need top-echelon journalists? These moves are not unexpected. The nature of the web means that all news and magazine companies — whether six months or 200 years old — are competitive with one other for audience and advertisers. In that competition, one timeless golden rule applies: Two revenue streams — advertising and circulation — are better than one. “Circulation” — until recently a 20th-century term that looked like it was going the way of printing presses and coinboxes — is back, digitally enhanced for your viewing enjoyment. I’ve called this (and celebrated it as) the revolution of reader revenue (“The newsonomics of majority reader revenue”). That revolution can not only help sustain high-quality media and those who produce it — it also reconnects journalists more directly with their readers, as Andrew Sullivan is now proving. Press+ tells me it will soon announce a new product line for top-end bloggers. Advertising remains hugely important, but it’s no longer the only straw stirring the new digital business cocktail. In fact, many publishers, new and old, are increasingly worried about hitting the advertising wall. That’s the other big reason behind the new romance with reader revenue. Reader revenue, on the other hand, is on the upswing. Newspaper publishers have seen double-digit and higher increases in circulation revenue if they’ve deployed paywalls well. More than 100 Press+ clients have added all-access (tablet/smartphone-plus) and increased their subscription prices an average of 20 percent, says Press+ cofounder Gordon Crovitz. They are seeing circulation revenue gains of 15 percent or more, even as they lose a couple of percentage points of subscribers and see 10-15 percent of the subscribers check that “opt-out” box, keeping the print coming at the old price. For some, then, circulation revenue (in the first year at least) will more than make up for ad revenue downturn. For most, it’s their only growth story. Add it up, and the digital-only world is taking notice and trying to follow fast. Atlantic Media — a serial innovator, with its Atlantic Wire and fast-growing Quartz products — will likely move to test additional paid products, probably using the now-vaunted “meter” this year. The awkwardly named Newsweek/Daily Beast Company may go the Doublemint route, with two paywalls, or find some innovative way to connect them. TinyPass, the company powering the technology behind Sullivan’s new Dish, has 45 active digital-only sites testing out various pay propositions; the torrent of Sullivan publicity, and early revenue numbers, will speed its use by others. Further, Press+, the leader in metered digital circulation in the U.S., tells me it will soon announce a new product line for top-end bloggers. The infrastructure is now in place: 2013 will be a year of testing. How much do top-echelon journalists need media brands? How much do brands need top-echelon journalists? The timing of pay initiatives from Andrew Sullivan and from The Daily Beast will provide a great picture into those questions. One way we’ll see how that contest goes is in comparing the sign-up-for-pay rates for both. 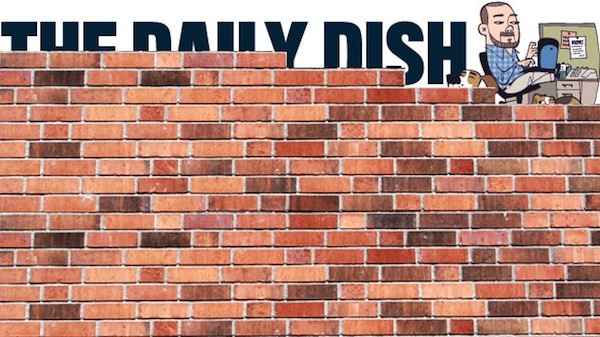 Sullivan’s The Dish make up about 10 percent of The Daily Beast’s uniques, and plainly has enough brand throw-weight to stand on its own. He’s already pulled in more than one percent of his unique visitors as subscribers — 12,000. They are paying on average $8 more than his minimum annual price of $19.99. The Daily Beast — essentially a digital magazine — will have a hard time charging much more than that, given how print magazines are priced. Of course, as a brand, it must maintain much more overhead than Sullivan’s merry band. 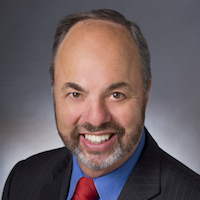 Ultimately, this comparison will help us understand the real current value of prime office space, brands, marketing, audience development and technology departments, sales staffs — and top editors (the David Remnicks and Tina Browns). We will see a relative few top blogger/columnist/personalities find major success here. We will also see all kinds of other groupings — old and new brands, digital studios, and others kinds of bundles going forward. The bundle business is still very much unsettled: There remains no iTunes for news, so discovery of good content is haphazard. Early innovator Zinio, the first digital magazine newsstand, has just reshuffled management and strategy in hopes of finding a future. Next Issue Media is an innovative product, built on old-media magazine titles. Apple’s Newsstand is a powerhouse, now having wooed The Wall Street Journal to its faux wooden shelves. Imagine another kind of digital newsstand that would somehow bundle the Sullivans of the world, or let consumers easily make their own bundles, and get a multi-title discount to boot. That’s the kind of thing Piano Media is doing with Eastern European newspapers, and it could work with the right new sets of content. While Andrew Sullivan’s example is inspiring, it’s aggregation and access points that have enduring power. “It’s the one-click, the reduction of friction,” Hearst Magazines President David Carey told me this week, as we talked about his magazines’ industry-leading 800,000 digital subscriptions. We’ll also see a new dance between top talent and media brands. Sullivan built his brand equity as he moved from Time to The Atlantic to Newsweek/The Daily Beast. That’s what talent does. If he and others succeed on their own, some will mark it up as classic disintermediation. Talent connecting directly with paying customers, with all those middlemen wiped out. More likely, right alongside this disaggregation, we’ll see reaggregation as old and new brands figure out both how to satisfy readers and talent. In the world today, comics Louis CK and Maria Bamford (excellent On Point episode, Comedy On and Off the Radar“) can go direct to audience — and still provide value to the FXs and HBOs. If brands are successful at assembling enough talent, they’ll succeed because they provide easy entry points for us consumers. That’s why HBO is still a winner and one reason that newspapers are succeeding with paywalls. Readers see continuing local news value — and in their case, are plunking down 10 times the amount magazines can get annually. Consequently, we’ll see that twinning of independence and brand alliance among news media people just as we do with the stand-ups. What are key numbers to watch? It’s fairly simple in the pay game. If you don’t have print (which is where the newspaper industry is excelling most, by adding all-access onto print subs), then we look at two numbers. How many unduplicated unique visitors does an individual or company have — and what percentage of them convert? Unduplicated (meaning taking out the multidevice usage of a single reader) uniques are usually about a third of publicly reported uniques. Experience tells us that one percent is a kind of minimum success rate for conversion; the upper limit at this point may be four or five percent. Then, there’s price, of course, and net after paying Press+, TinyPass, or others. Figure out those numbers — and add in advertising revenue, or not — and you can see how many people can be supported. Lots of people are doing that math this month. What’s the intangible? Distinctive, hard-to-replicate quality. People may pay for a distinctive voice or take on the world, or for broad local news, or for niche content of many kinds. What they won’t pay for is stuff they can find easily enough for free elsewhere. So Gannett’s reporting 20-percent-plus circulation revenue gains from its local paper paywalls — but it won’t deploy one at USA Today, which still struggles for a distinct identity in the digital world. Who’s the hero? The meter. While the Financial Times pioneered the meter back 10 years ago (and has screwed it tighter and tighter since), that innovation was ignored by most publishers for a decade, a decade of missed opportunity. The meter has allowed brands and journalists to remain part of the daily conversation, and to sell as much advertising as can be sold, while harvesting new money. Look for lots of tweaks — geographic, demographic, psychographic, and more — to the meter, as this business matures. Finally, consider this. The move by digital-only sites to embrace pay solutions isn’t just about playing offense. Sure, they need the revenue. In addition, though, in this world of hyper-competition, those publishers who have larger and more diversified revenue streams will be better able to staff up and compete for talent. The digital-only guys don’t want to be competing against the legacy guys and relying on a single weapon while the old guys have two. POSTED Jan. 10, 2013, 10:10 a.m. Doctor, Ken. "The newsonomics of the digital-only paywall parade." Nieman Journalism Lab. Nieman Foundation for Journalism at Harvard, 10 Jan. 2013. Web. 19 Apr. 2019. Doctor, Ken. "The newsonomics of the digital-only paywall parade." Nieman Journalism Lab. Last modified January 10, 2013. Accessed April 19, 2019. https://www.niemanlab.org/2013/01/the-newsonomics-of-the-digital-only-paywall-parade/.